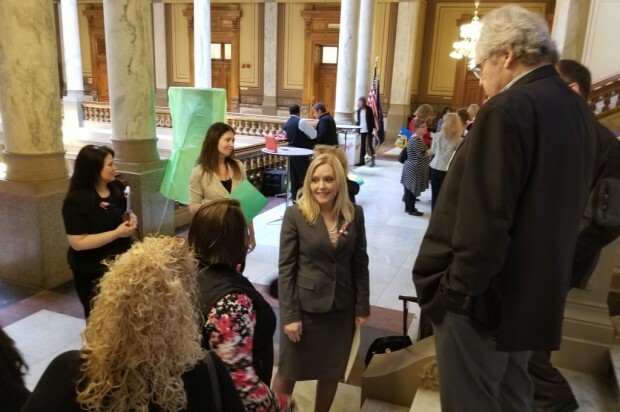 Senate Bill 217 amps up dyslexia screenings and intervention in Indiana schools. It requires each district, and the Indiana Department of Education, to hire a reading specialist, trained in identifying and teaching students with dyslexia. Schools will also screen kids in kindergarten through second grade for different risk factors tied to the learning disability, and report that data to the state. Advocates says more training and awareness in schools is important, but one leader from Decoding Dyslexia, Cheryl Clemens, says a part of the bill to tell parents about their child’s dyslexia risk is a big step too. “Parents are really the best advocates for their kids. And if they have an idea why aren’t they moving forward, they will reach out to look for other parents and look for other information,” Clemens says. As the bill moved through the legislature, some lawmakers and members of the public voiced concerns that the bill would let schools diagnose children. But Decoding Dyslexia founder, Nanci Perry, says it’s not a diagnosis tool. Instead, she says it’s meant to assist families and educators to be more effective. “We do think it will be really helpful – for teachers especially – to know this student might need this type of instruction, that we know works,” Perry says. The General Assembly approved the bill this week. It now heads to the governor.